All these bases were made pixel by pixel (some toolshaded) by me. They are free for use, but take care of keep my RULES, they are so important in the dolling community! Some of the older bases were traced from images from stocks, anime, ball jointed dolls or illustrations, (with their proper credit and permission), these images may be used by other people aswell. They were made for fair use. For this reason, any resemblance to bases on any other sites not credited is just a coincidence. I saw many sites that not fulfill my base RULES. Take a time reading them. If you use my bases please, be polite and write something in the tagboard. I love see dolls made with my bases. 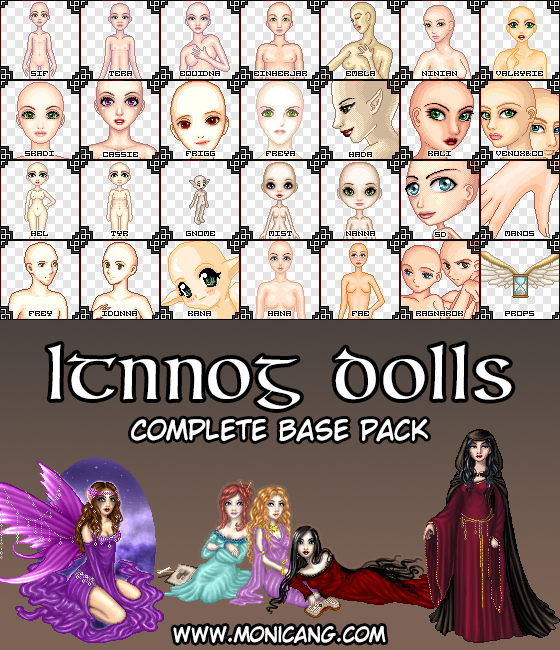 UPDATE 2014: I’ve made a complete base repack for your convenience.